Qwil Messenger solves the challenge of making chat safe and compliant when it matters most: between staff, clients and partners. Our single, global chat app enables participants in any location to engage in branded, professional conversations with their companies whilst meeting the most stringent security and regulatory requirements. Just swipe between each company's brand space and chat. It's that simple. 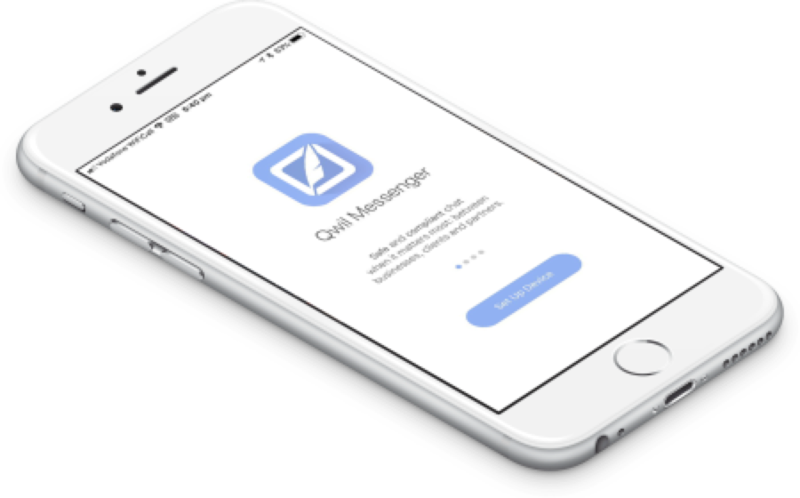 Qwil Messenger has been designed to work seamlessly on both mobile and web. Your chats are synchronised across all your devices. You can sign in from as many of your devices as you like. Just use your Qwil account details to sign in everywhere. track and be notified in a familiar way. business purposes and no other. are who they say they are. Interested in using Qwil for your business? Qwil Messenger is a software-as-a-service (SaaS) platform for businesses to use with their clients and partners. Sign-up online and securely chat within minutes. "Qwil Messenger is like WhatsApp for financial and professional services. It is a product which we believe has significant potential to improve the engagement with clients, partners and businesses." 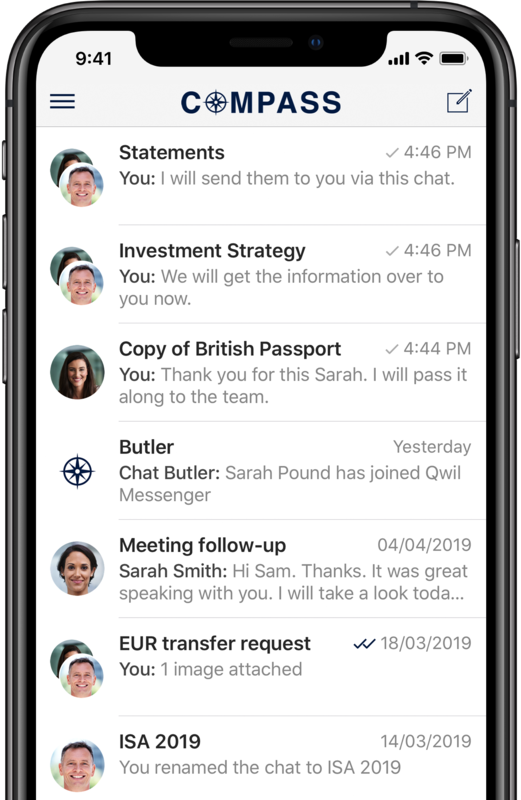 Qwil Messenger presents live on stage at Finovate Europe 2019. Find out all you need to know.